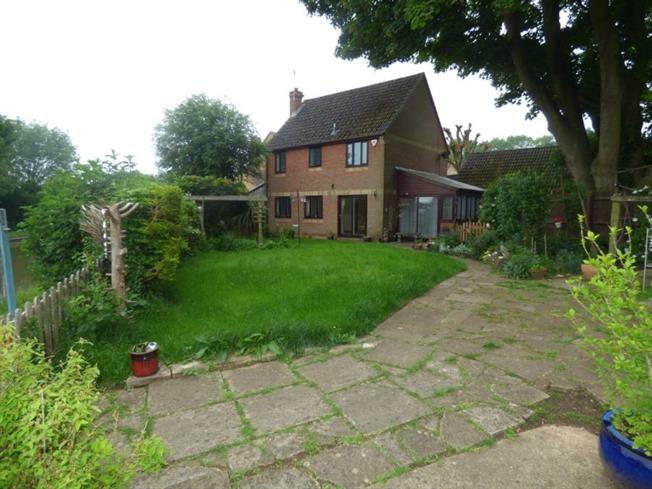 4 Bedroom Detached House For Sale in Milton Keynes for Offers in excess of £445,000. Offered For Sale With No Upper Chain And Inviting Offers! A four bedroom detached family home benefitting from double glazing, gas central heating and backing on to the Grand Union Canal. The property briefly comprises of: Entrance hall, cloakroom, kitchen/breakfast room, lounge, dining room, study, first floor landing, four bedrooms (en-suite to master), family bathroom gardens to front and rear and driveway providing off road parking for numerous vehicles. The property also benefits a self contained annexe with entrance hall, lounge, kitchen, two bedrooms and bathroom. The property is offered for sale with no upper chain and viewing is highly recommended.